Riding a train in Tokyo can be a very challenging thing. The first thing to do is understand the basics on how it works. To do this, you need to look at a map. 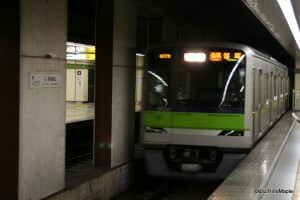 Follow this link and you will get an idea on the basics of getting around in Tokyo: http://www.tokyometro.jp/global/en/service/pdf/routemap_en.pdf . From this map, you need to understand a few things. First, look for the black and white line that generally runs in an oval shape in the middle of the map. It can be difficult to notice as it’s not meant to stand out. This is the Yamanote line. It’s a general boundary between central Tokyo and residential Tokyo. From here, you will have to look at the legend at the bottom right. 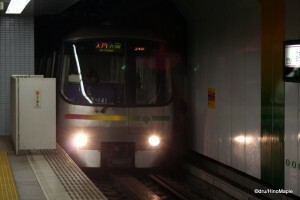 The four lines on the left, “A-I-S-E” are for the Toei Lines, and the ones on the right are for the Tokyo Metro Lines. This is very important. 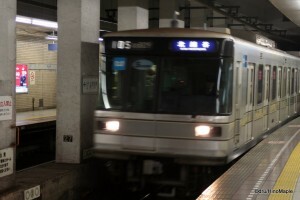 Both Toei and Tokyo Metro operate subways within Tokyo, but they are not the same company. Going from one company to another requires a transfer, although you will receive a discount for the second leg of your journey. This can make a simple cheap trip into an expensive one. I highly recommend getting a “Welcome to Tokyo” Handy Map from Yes! Tokyo. These are large, scale, maps that show you relative distances between different subway stations. This can help you save money by walking up to 300 metres to the next station, rather than transferring. Typically, going from A to B is fairly simple. You can easily use only one company and reach your destination. The only problem is that it requires a little planning. The private railway companies, excluding Japan Railways, created their own travel website that will help you get from A to B using any of the lines in Tokyo. Of course, they are biased towards their own lines, but you can easily choose price, speed, or transfers as how to sort the options. The link is provided below. Depending on your hotel, if you have internet, it’s a good idea to use that website to plan how to get to various places in Tokyo and how to get back. While it isn’t necessary, it can help you solve many problems. There are a few places in major touristy stations where you can find terminals with the same program in place. 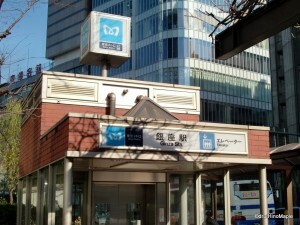 If you are completely lost, go up to any ticket gate, point on the map, and ask the station staff. Locals can help too, but they tend to be very shy and freeze up when spoken to in English. The next step is to actually buy a ticket. For this, you need to know how to use the machine itself. In most major stations, they have touch screen panels and button panels. The touch screen panels are the easiest as you can select “English” and work your way through it. The basics are, find the fare, select the amount, and put your money in. Some of the machines, especially the push button ones require you to put your money into the machine first, before you can select the fare. If you want to buy two or three tickets at a time, there is a button, usually on the left, next to the screen. The pictures are very simple and easy to figure out. If you made a mistake, you can either go to another ticket machine, or press the red cancel button. If you are still completely lost, usually there is a small white tab covering the help button. Press this button if you need help. Do be aware that help can come from within the walls! In the past, I had accidentally pressed the button, and a small panel in the wall next to the machine just opened up. I nearly jumped back 3 metres. It was terrifying, but funny at the same time. You may want to push it just for fun either way! Once you do have your ticket, you can go straight into the gate. Be sure to keep it until you exit. When you exit the system, the gate will just keep your ticket. If you didn’t purchase enough, don’t worry, there are always machines at every gate where you can add more money to the ticket, or you can head straight to the attendant who will tell you, or rather show you, how much you have to pay to get out. Do be aware that if you leave too quickly, the paddles, which are around thigh height, will close and you might take a tumble. This has happened to me many times. If you are transferring between companies, you might have to physically leave the station and re-enter a few hundred metres away. This takes a little extra care. Be sure to look for the “orange” gates. These will let you exit and enter at the next company’s entrance. Again, don’t forget your tickets, or you’ll have to buy a new one. Finally, be aware of joined lines. Many of the subway lines connect to commuter lines. If you aren’t careful, you can end up traveling from one end of Tokyo, to the other, and out into the suburbs. Only a handful of lines actually do this, but when they do, it can be very confusing, in terms of costs. If you fall asleep on the train itself, you could end up over an hour away from your destination. Thankfully, to return, without exiting the system, is free. 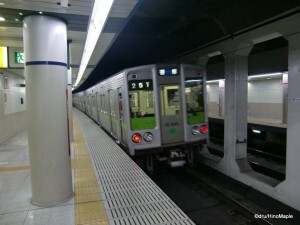 If you are worried, and want the simplest method of travel, the Yamanote line is probably the best bet. It may not be the quickest mode of transportation, but it is by far the easiest. Coupled with the Chuo line, traveling between places can be cheaper than the subway. Plan wisely and you can save a lot of money. If you plan poorly, just enjoy the ride and call it an adventure. Subways of Tokyo was my initial thoughts about the train system in Tokyo. To read more about trains, continue to Trains in Tokyo – Redux. This entry was posted in Tokyo, Trains and tagged Asakusa Line, Chiyoda Line, Chuo Line, Fukutoshin Line, Ginza Line, Hanzomon Line, Hibiya Line, japan, Japan Railways, JR, Marunouchi Line, Mita Line, Namboku Line, Oedo Line, Shinjuku Line, subway, Toei, Toei Subway, Toei Transportation, tokyo, Tokyo Metro, Tokyo Subway, Tokyo-to, Tozai Line, Yamanote Line, Yurakucho Line, メトロ, 三田線, 中央線, 丸の内線, 千代田線, 半蔵門線, 南北線, 地下鉄, 大江戸線, 山手線, 愉楽緒戦, 新宿線, 日本, 日比谷線, 東京, 東京都, 東西線, 浅草線, 銀座線, 電車 by Dru. Bookmark the permalink. I always use Jorudan or Hyperdia to plot routes, but even Google Maps should have train route plotting features. But most conveniently, I usually access it from my mobile phone available through your mobile phone’s web services menu.